SINGAPORE - It's on, off, and looks set to be on again. The United States and North Korea are working towards a planned June 12 summit in Singapore, with high-level aides on both sides crossing oceans to meet their counterparts in preparation for the high-stakes meeting. Experts have flagged three possible locations in the city state for the meeting: The Shangri-La Hotel, Marina Bay Sands and Sentosa. The Istana was also cited by South Korean media as one of the places under consideration. The White House had said earlier that Singapore was chosen as the venue for the talks because it could ensure the security of both leaders and provide neutrality. White House's principal deputy press secretary Raj Shah noted that the first meeting between the leaders of China and Taiwan took place in the city state. He was referring to the 2015 meeting between Chinese President Xi Jinping and then-Taiwan president Ma Ying-jeou. 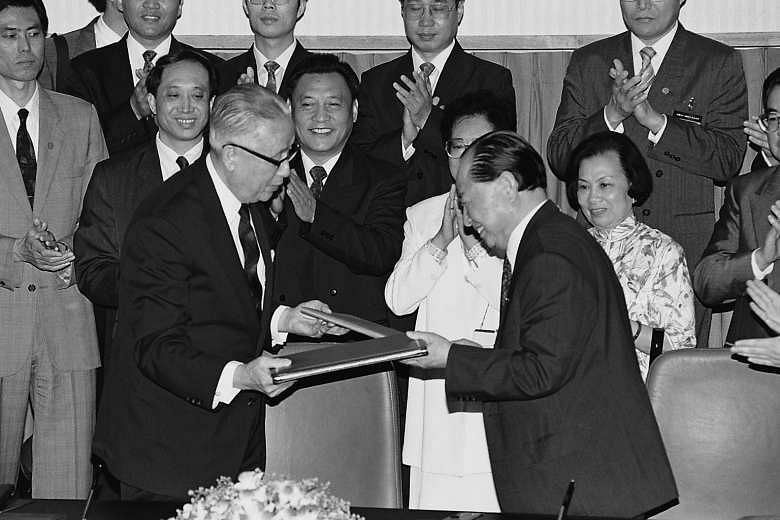 Back in 1993, Singapore also played host to the landmark Wang-Koo talks between China and Taiwan. Here's a recap of what happened at these two meetings. Mr Wang Daohan (left) of China's Association for Relations Across the Taiwan Straits (Arats), and Mr Koo Chen-fu of Taiwan's Straits Exchange Foundation (SEF) met at the then NOL Building in Alexandra Road. 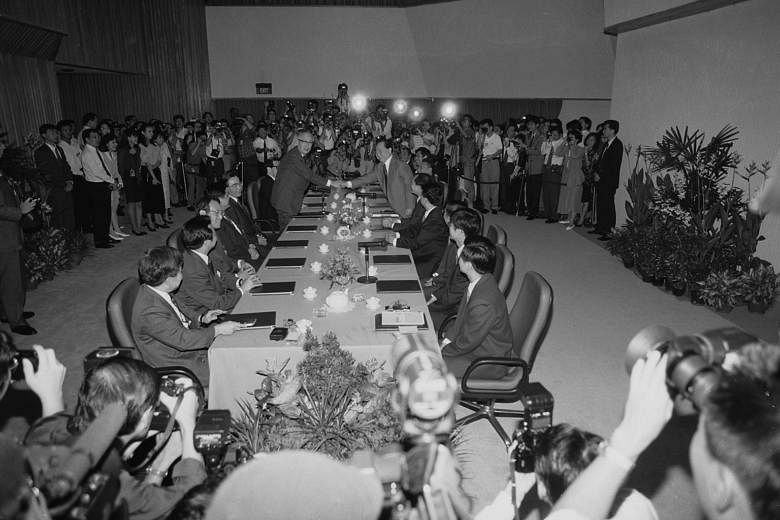 In 1993, Singapore played host to the landmark Wang-Koo summit between the heads of two semi-government bodies from China and Taiwan. The meeting, which was the highest-level contact between the two sides since the end of the Chinese civil war in 1949,was seen as a major step in reducing tensions. Mr Wang Daohan of China's Association for Relations Across the Taiwan Straits (Arats), and Mr Koo Chen-fu of Taiwan's Straits Exchange Foundation (SEF) met at the then NOL Building in Alexandra Road. The summit was held for three days from April 27 to 29. Initially scheduled for two days, it was extended by a day after both sides failed to resolve some issues on economic co-operation. Why was Singapore chosen as the venue? Then SEF's secretary-general Cheyne Chiu said Singapore was a unanimous choice by both sides because of its neutral position, and the "good leadership and reputation" of its government. Holding them in either Taiwan or China would be "awkward" for the two sides, he said. Preliminary discussions to pave the way for the meeting started on April 21.Both sides sat down for preparatory discussions on April 23. The actual venue was made public only four days before the talks. A decision was reached to hold the meeting at the conference room on the 26th level of the then NOL Building. The Chinese team had initially expressed reservations because the place was next to the PSA Building where the Taipei Representative Office was located. 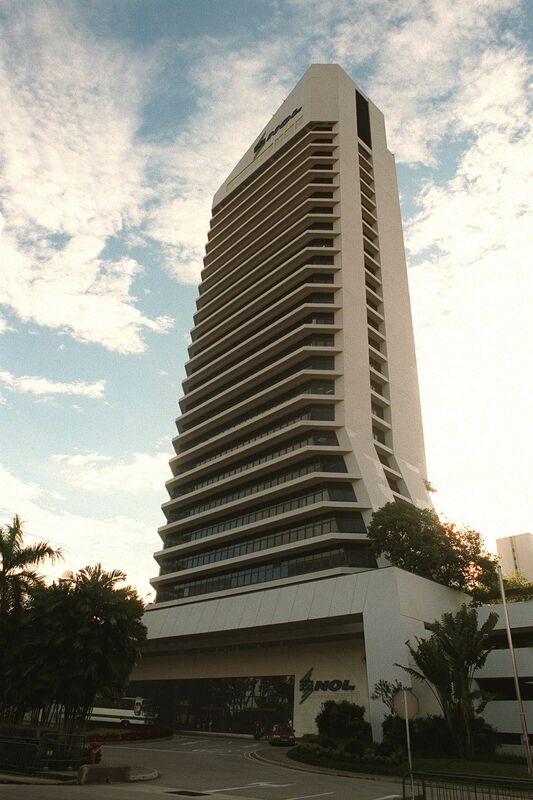 The Taiwanese delegates stayed at Westin Plaza while the Chinese chose Regent Hotel. How was the preparation like for the meeting? Special attention was paid to the smallest detail to ensure equality. For example, arrangements were made so that the two sides could arrive at the meeting venue at the same time. The delegates took two different lifts to get to the conference room with two separate entrances. During the first meeting, the Chinese team sat facing the door, a sign in traditional Chinese culture that it was the host. The Taiwanese delegation sat with their back to the door as "guests". They switched sides during the second meeting. The documents for the summit came in two versions: in simplified Chinese characters for the Chinese side, and in traditional Chinese characters for the Taiwanese team. Mr Wang and Mr Koo inked four agreements. 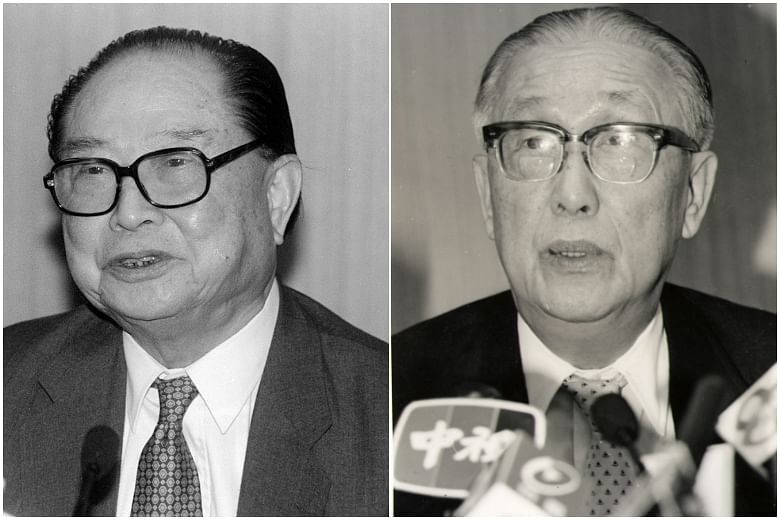 The documents prepared in simplified Chinese referred to the meeting as the "Wang-Koo Summit" while the Taiwanese versions referred to it as "Koo-Wang Summit". During preparatory discussions in Singapore in the week leading to the meeting, Chinese and Taiwanese officials agreed that the talks would deal mainly with civilian, administrative and economic matters. Major issues would include future communication channels between the two sides, repatriation of illegal immigrants, criminal activities and fishing disputes. The meeting also set the timeframe for future contacts between their officials. However, there were doubts over whether Mr Koo would pull out from the summit at the last minute. He had threatened to quit his post after members from Taiwan's Democratic Progressive Party (DPP) - then in opposition - had branded his family as traitors during the Japanese Occupation years. More than 200 journalists from China, Taiwan, Hong Kong and other Asian countries made their way to Singapore for the event. On the opening day, Mr Wang and Mr Koo shook hands four times for the media to capture the historic moment, before they sat down for talks. Sitting across a long table less than two metres wide, the conversation got off to a warm start with an unexpected topic - Peking opera, a passion shared by both men. Both sides agreed to formalise official contacts between Arats and SEF. They also agreed to hold director-level meetings once in three months in either China or Taiwan, while secretary-general level meetings would take place once every six months, either in China or Taiwan, or in a neutral country. But the atmosphere at the talks grew tensed when a delegation of 12 DPP lawmakers showed up to challenge the SEF's right to represent the Taiwanese. The two-day meeting stretched into a third day when both sides could not resolve issues on economic cooperation. China had wanted direct trade, postal and transportation links with Taiwan. It also wanted restrictions on Taiwan investments on the mainland as well as Chinese imports to Taiwan to be eased. Taiwan, meanwhile, pushed for a pact to provide legal protection for Taiwan investments and businesses in China. 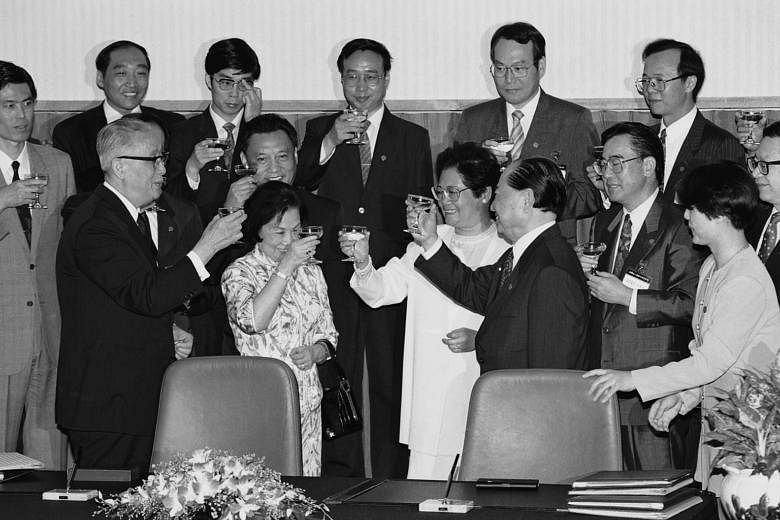 On April 29, 1993, four historic pacts were signed during a 20-minute ceremony televised live to Taiwan. These pacts did not include economic issues, which both sides agreed to iron out at a later date. Mr Wang hosted the Taiwanese side to a dinner on April 27. Each dish of the nine-course dinner had Chinese names that carried special significance, such as "happy reunion" and "treating each other like brothers". Delegates from both sides even signed on copies of the menu which were then exchanged as keepsakes. In return, Mr Koo hosted the Chinese side to dinner at Shangri-La Hotel the next day - also a nine-course dinner which ended with both sides exchanging autographed menus. 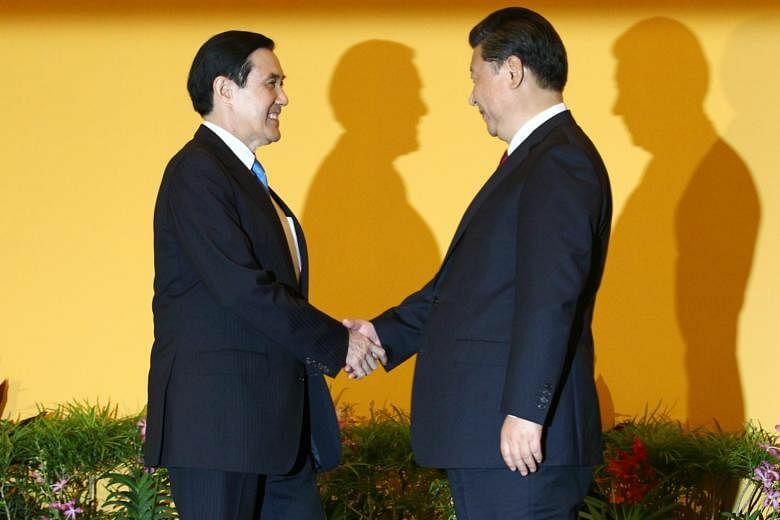 In 2015, Singapore hosted a historic meeting between Chinese President Xi Jinping and then-Taiwan president Ma Ying-jeou. The meeting on Nov 7 marked the first time that the leaders of the two sides have met since the end of the Chinese Civil War in 1949. 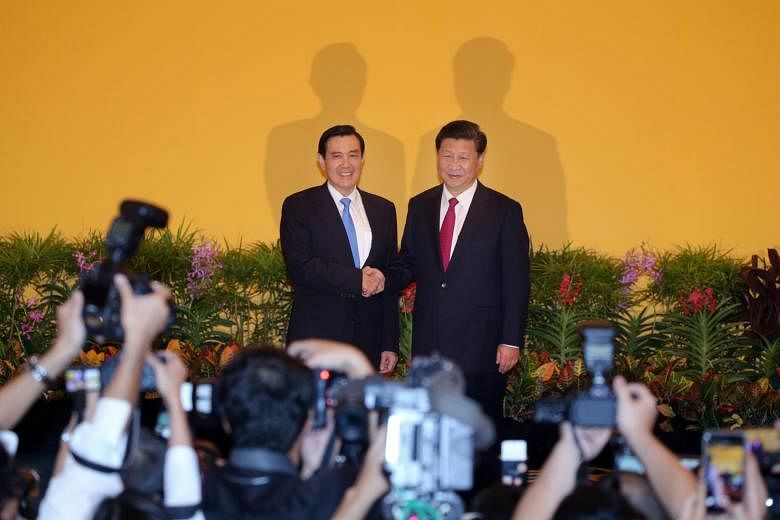 Mr Xi Jinping (right) and Mr Ma Ying-jeou smiled broadly and posed for the cameras as hundreds of flashlights popped around them. The meeting coincided with Mr Xi's visit to Singapore on Nov 6 and 7 to mark 25 years of diplomatic relations between China and Singapore. Both China and Taiwan had requested Singapore to facilitate the talks. But the summit could have been held in Manila instead, if not for the objection of Beijing. Mr Andrew Hsia, then head of Taiwan's Mainland Affairs Council (MAC), had suggested to his Chinese counterpart in October to hold the meeting during the Asia-Pacific Economic Cooperation summit in Manila on Nov 18 to 19. But Mr Zhang Zhijun of China's Taiwan Affairs Office rejected it, said that it was not suitable. Manila was also said to be an unlikely venue as it is involved in a territorial dispute with China in the South China Sea. Following the summit, Mr Ma posted a lengthy comment on Prime Minister Lee Hsien Loong's Facebook to thank Singapore for facilitating the cross-strait meeting. "Thank you, my old friend, Prime Minister Lee, for your hot tea, tasty pastries and warm welcome," Mr Ma wrote, in response to Mr Lee's post of them having tea together. He added: "Singapore has played a vital role in facilitating and witnessing peaceful development across the Taiwan Strait." Mr Xi (right) and Mr Ma shared an 81-second-long handshake. Mr Xi and Mr Ma shared an 81-second-long handshake, before they retreated to a conference room at the Shangri-La Hotel for their summit meeting. Earlier, both men walked onto a carpeted area from different sides of the hotel foyer, met in the middle, smiled broadly and posed for the cameras as hundreds of flashlights popped around them. Although they looked at each other only momentarily, they stood close and seemed relaxed as they continued shaking hands for a full minute. The two men then waved before entering a meeting room with other members of their delegations. 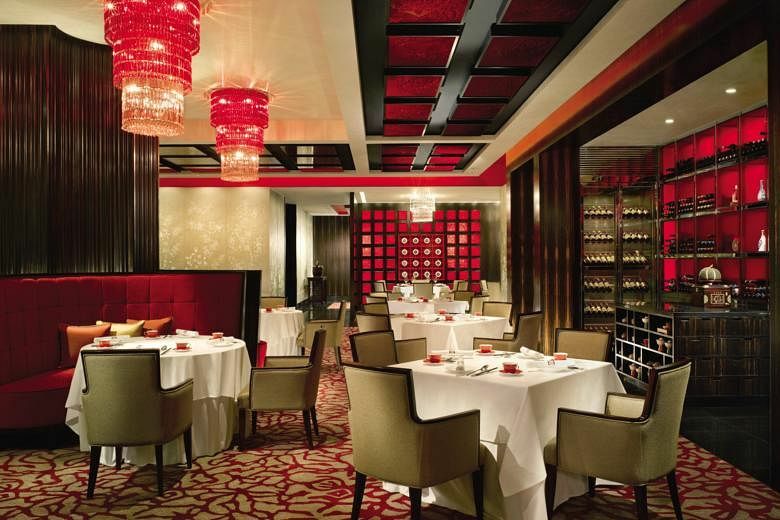 The Chinese delegation stayed at St. Regis Singapore, while Mr Ma headed to the Four Seasons Hotel after he touched down in Singapore for his one-day trip. Every word, every move was carefully thought through by the two sides, in order to preserve neutrality and avoid conferring any legitimacy on the other's government. For example, the two leaders addressed each other as "mister" rather than "president". And when they sat down for dinner after the talks, they made sure the bill was evenly split. "It's not about who will be whose guest at the dinner, but about having dinner together," said an official from Taiwan's MAC. The two sides also split the cost of renting the meeting, according to reports. What happened in the lead-up to the summit? The historic summit sparked a media frenzy, with hordes of foreign journalists staking out at the Shangri-La Hotel in the days ahead of the event. 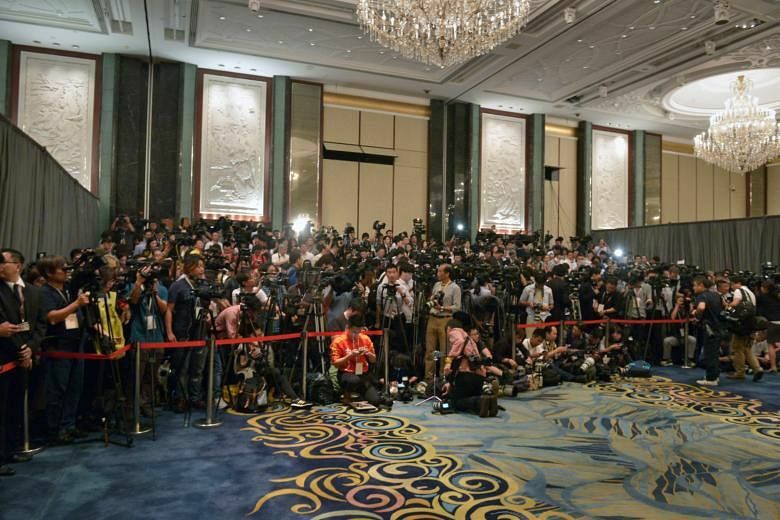 The hotel lobby was swarming with reporters and camera crews, with a significant number of them from Taiwan's highly competitive media industry. China and Taiwan had first broached the possibility of cross-strait talks between their presidents in 2014. On Nov 3, 2015, Mr Ma's spokesman confirmed the meeting and told Taiwanese media that the intention of the visit was to "secure cross-strait peace". He added that no agreement would be signed and no joint statement would be made. Similarly, China's Taiwan Affairs Office said that the two leaders would exchange views on promoting the peaceful development of cross-straits relations. In his opening remarks, Mr Ma spoke of how the two sides are "one family". He said: "Even though this is the first meeting, we feel like old friends. Behind us is history stretching for 60 years. Now before our eyes, there are fruits of conciliation instead of confrontation." Among the subjects they discussed were the strengthening of the 1992 consensus, the setting up of a cross-strait hotline to deal with emergencies, Taiwan's international space and Taiwan's request to take part in the Beijing-led Asia Infrastructure Investment Bank. However, little of substance was agreed on beyond the hotline. The summit was widely reported but the Taiwanese media were divided on the merits of their president's meeting with Mr Xi. Some had praised his efforts, while others said it showed Taiwan's subservience to China. Did they exchange gifts? And where did they dine? Mr Ma reportedly presented Mr Xi with a handmade porcelain figurine of the Taiwanese blue magpie. It was also reported that the two leaders and their delegations had dinner at Shang Palace in Shangri-La Hotel, with each side bringing with them seven people. The two leaders seated next to each other at a round table, to avoid having to choose someone to sit in the "host" position at the top of a rectangular table. The menu included crayfish, fried asparagus and spicy noodles. Bill was spilt between the two sides. "We brought our own drinks so I don't think we spent too much money," Mr Ma told reporters later. Mr Xi brought to the meal a famous spirit from Guizhou province, while Mr Ma brought wine and spirits from Matsu and Kinmen. Over food and wine, the two men talked politics, education and knives made from old Chinese artillery shells. But Mr Ma told reporters later that they did not drink much. Mr Ma said: "He said his capacity for liquor wasn't good and I said mine was not good either."